Parry Sound is Bobby Orr and Georgian Bay. This little logging town known locally as The Sound, grew up in the limelight of its famous son, but it’s the unique shorelines, high quality golf and multitude of après that continues to attract tourists from afar. Nature lovers can hit the Sequin Recreational Trail, or spend an afternoon swimming at spectacular town beach (don’t miss the sunset). Killbear Provincial Park showcases the splendor of the Canadian Shield. Take a ride on the 550 passenger Island Queen cruise and tour the world-famous Thirty-Thousand Islands. 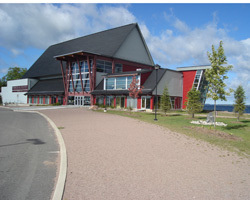 History buffs can check out the West Parry Sound Museum and discover the town’s roots and its connection to the Avro Arrow program, or visit the Bobby Orr museum for a little hockey nostalgia. Those with an appreciation for the fine arts will love the galleries and can take in a show or concert at the renowned Stockley Center on the waterfront. The Festival of Sound is an annual music festival that brings in world-renowned and local musicians to entertain and celebrate the wonders of music in the Sound. Present day Parry Sound has become more accessible with the extension of Highway 400. The inevitable invasion of Big Box stores has begun, but the town still has that cottage country. The charming main street lined with artisan shops, boutiques, great restaurants and a great First Nations feel brought from nearby Parry Island. 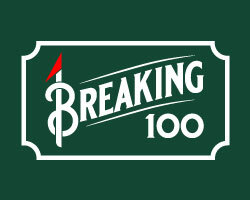 This original design by owner Dave Chalk fills the niche of affordable golf with a local rugged feel. The front 9 has an open design and tough greens complemented recently with the tighter and more treed second 9. 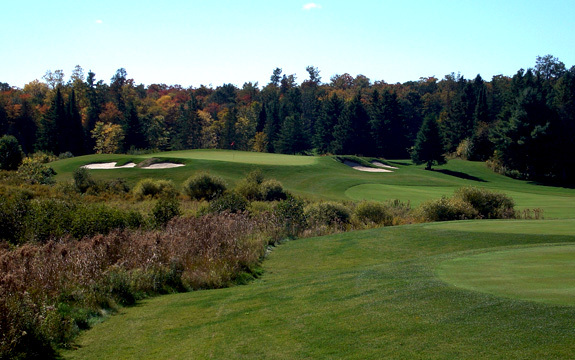 Deer Run gives the novice to intermediate golfer a solid challenge for a reasonable greens fee. An early Tom McBroom design, this course features granite outcroppings, rock walls and strategic water hazards. This 6000 yard shot makers course plays like a much longer track. Rates are $35 - $60 to play this tricky layout. A dream of two former pilots blossomed into a 6862 yard beast with a rating of 73.8 and slope of 146. 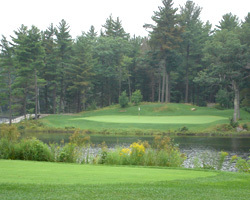 Hole 7 a par 3 all-carry over a lake and the adjoining floating bridge is unforgettable. Fees include the much needed power cart. 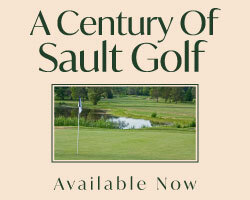 Voted Golf Digest`s Best New Canadian Course for 2006, this private facility allows some public play. McBroom has sculpted a fantastic layout through dense forests, granite outcroppings, undulating fairways, wetlands and elevation changes.